Once you have a new shower door installed, you may be wondering if you will need to take special precautions to keep it looking beautiful. It's wise to make sure you're up-to-date on the proper methods for glass care. Your new shower enclosure is an investment that will give your bathroom a modern look that makes it appear larger. Your custom enclosure will also increase the value of your home. 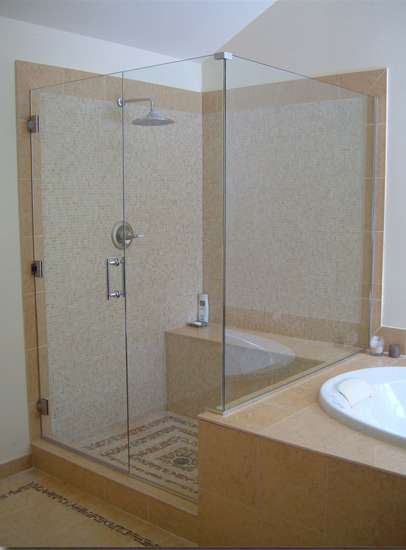 To keep your frameless glass shower door looking its best, there are steps you need to take to protect the glass and seal out potential contaminants. Keep reading to learn our recommendations for protecting and cleaning your glass. Spray: To maintain the shine, every week, spray your shower door with a solution that is specifically designed for cleaning glass shower enclosures, like our Glass & Surface Cleaner. You can purchase this cleaner in our Havertown Shop. Wipe Clean: Wipe the surface clean with a microfiber cloth. Click here to learn more about our glass protectant and cleaning spray.